The legal war over the future of CBS Corporation is beginning to take shape. Five CBS board members fired the first shot last week. Now the board members have updated their complaint against National Amusements, Shari Redstone's holding company, and asked the judge to bless last week's jailbreak attempt. This back and forth is likely to continue for weeks and possibly months to come. It is being fought in the Delaware Court of Chancery, which specializes in business disputes. At stake: Effective control over CBS, one of America's most powerful and prestigious media companies. Most of the CBS board -- 11 of the 14 members -- want to issue a dividend that would dilute Redstone's controlling stake in the company. Redstone serves as vice-chair of CBS Corporation, which is controlled by National Amusements. They say Redstone has breached her fiduciary duties. But Redstone and her two allies on the board say it's the other way around. "The actions of CBS and its special committee amount to a grievous breach of fiduciary duties and show no regard for the significant risk posed to CBS and its investors," National Amusements said last week. Redstone has most of the voting stake in both CBS and its sister company Viacom. She has been pushing the two companies to explore a merger. But CBS chief executive Les Moonves and others in his camp are merger-averse. The board members who were charged with exploring the merger possibility said in last week's filing that they have concluded it "is not in the best interests of CBS and its stockholders." That initial filing outlined disputes with Redstone and expressed concern that she would force through a merger by using her power over the board. A special board meeting was held last Thursday to vote on the dividend proposal. Redstone threw a wrench in the vote by changing the CBS bylaws in order to require a supermajority of votes to approve the proposal. A judge declined the CBS board's request for a temporary restraining order against her. 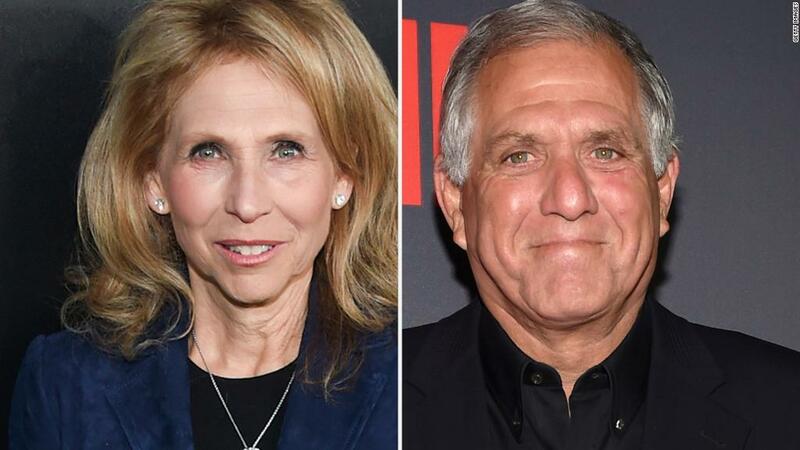 The board meeting went ahead, and the 11-3 vote showed that most of the board members are siding with Moonves, not Redstone. The dilution of Redstone's control, however, was contingent on the Delaware court's approval. So now this issue is going back before the judge. In Wednesday's amended filing, CBS sought a declaration from the judge that the board's recent vote "was effective and permissible." The initial filing was 42 pages. The amended filing is 67 pages, full of new allegations against Redstone. "In sum, Ms. Redstone, both through her own words and those of her agents, has made clear that she will not abide by the prior public commitments to operate CBS as if it were an independent public company," Wednesday's filing stated. "Instead, by her actions in pushing for a deleterious merger, interfering with the management andf Board of the Company, blocking important information from even being considered by the Board and other steps harmful to the interests of all stockholders — and her position in this matter that as controller she may do so — Ms. Redstone has made clear that she poses a substantial threat to the best interests and welfare of the Company and its stockholders, and that her control is detrimental to the Company's long-term effectiveness." In a response to CNNMoney, National Amusements said on Wednesday that it "exercised its legal right to amend CBS' bylaws and this change was effective immediately. We are confident the court will uphold NAI's action." Last week, National Amusements said "CBS management and the special committee cannot wish away the reality that CBS has a controlling shareholder." Meanwhile, the merger talks and the legal dispute have been a drag on CBS Corp stock. Shares were hovering around $60 this time last year, and are now around $50, approaching a 52-week low. The stock dropped 1.96% in Wednesday trading.